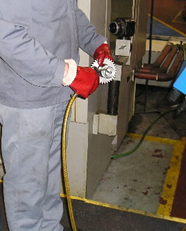 Workforce First performs noise surveys for engineering companies, foundries, steel stockholders and a wide variety of small businesses across the Midlands. 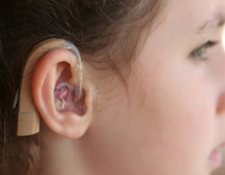 Noise induced hearing loss is a real issue causing disability for the sufferer. 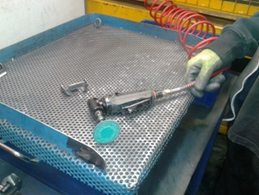 With the remit to prevent illness, injury and disability from work, the Control of Noise at Work Regulations 2005 were produced to stamp out hearing loss. 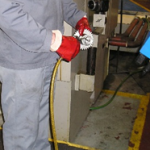 The employer is required to assess the problem and to fix it by reducing noise at source and not just paper over the cracks as it were by providing hearing protection and information. There are two main levels of personal exposure to noise requiring action; a Lower Value of 80 decibels and an Upper Value of 85 decibels. 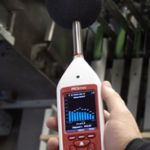 In order to know what action you need to take, you need to know whether your employees exposures to noise are below 80 dB, between 80 and 85 dB or above 85 dB. Workforce First Occupational Hygienists take your duties to protect the hearing of your employees seriously. We will visit you at the quotation stage to understand your processes and to ensure that high noise events are covered. 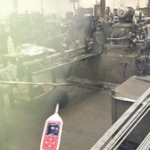 Expect the survey to address certain things; there will be a noise exposure assessment for all shop floor employees in all areas at their workstations, under normal conditions of production. This will mean shadowing each employee as he or she performs each task they do in a day. 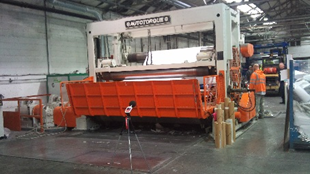 The noise levels and durations will be measured to be representative of each cycle of each machine or action. 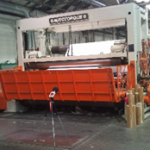 We will identify noise sources and where feasible we will discuss noise reduction with you. We provide octave band analysis of high noise levels to ensure that the hearing protection provided is suitable. 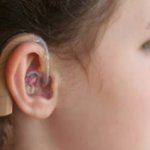 We will advise on hearing tests and can put you in touch with a choice of providers. If you have to raise your voice above normal speech levels to be heard by someone 2 meters away, the noise level is likely to be around 80 dB and a noise survey should be carried out to determine the actions needed. The survey should be carried out by a competent person in compliance with guidance given in L108 which is the official guidance on Noise Regulations. 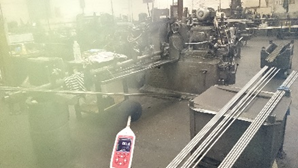 A walk round will enable the factory to be noise mapped so that high and low noise areas are found and measured. From this you will know which areas require hearing protection to enter. Significant noise sources should be identified, supported by octave band analysis. Where impact noise or a significant difference in sound levels characterises a particular measurement, it should be supported by an annotated graph of the time history. Personal daily noise exposures should be calculated for the operation of all machines or activities by each individual. Where noise reduction is thought to be feasible, this should be discussed with you. We have found that discussing the issues prevents us from recommending improvements that cannot be made because of access for example. We often find that discussion leads to an ingenious answer to the problem. 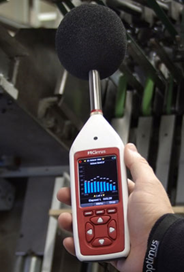 The noise measurements should be made using a calibrated integrating sound level meter of Class 1 or Class 2 standard. We use a Class 2 Cirrus Noise Meter for most of our work. The survey results should be presented as a report in a format to promote quick reference and easy understanding that should be discussed with you to ensure that your needs are met. A diagram of the floor plan should be annotated and colour coded with sound level measurements and areas below, between and above the 80 and 85 dB levels. Recommendations for hearing protection should be given, supported with octave band analysis for noise above 90 dB(A) so that you know the hearing protection will work. 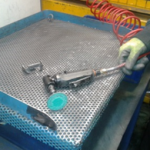 From experience some of the worst culprits for increasing noise exposures of individuals have been from the use of air lines to clear swarf or dust, air tools and impact noise when moving parts. These peaks in noise raise exposures to above the action values even when the background levels are below the limit. To summarise, as an employer you need to know what the noise exposures of the employees are and the source of the noise. You need to try to reduce the noise and if that is not possible you have to provide information, training and suitable hearing protection.